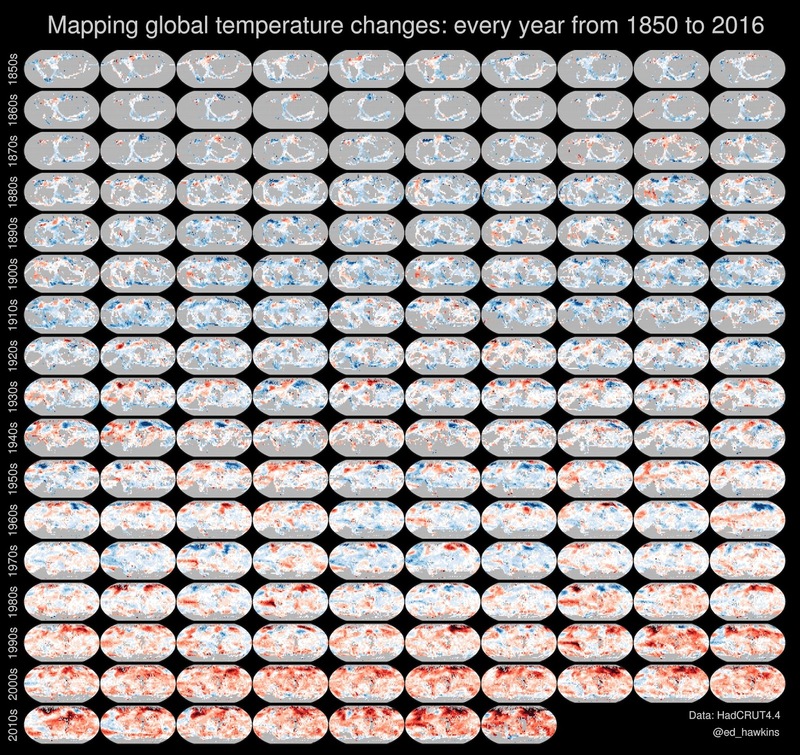 Maps showing how much the planet has warmed every year since 1850. View at full size (10 MB file). Created by Ed Hawkins; spotted via Eye on Miami.